14 tombs dating to the 2nd century were recently excavated in Vietnam’s Ha Tinh Province, containing a number of bronze, terracotta and stone artefacts. Archeologists have found 14 tombs dating back to the second century CE filled with relics made of stone, bronze, and terracotta at a site in Ha Tinh Province. 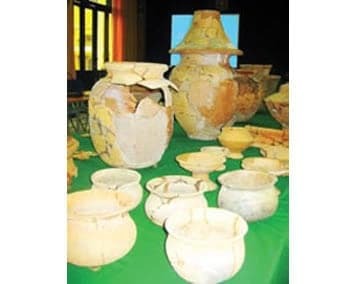 The provinceâ€™s Department of Culture, Sports and Tourism announced May 20 that the objects were discovered at Bai Coi archeological site in Nghi Xuan District.